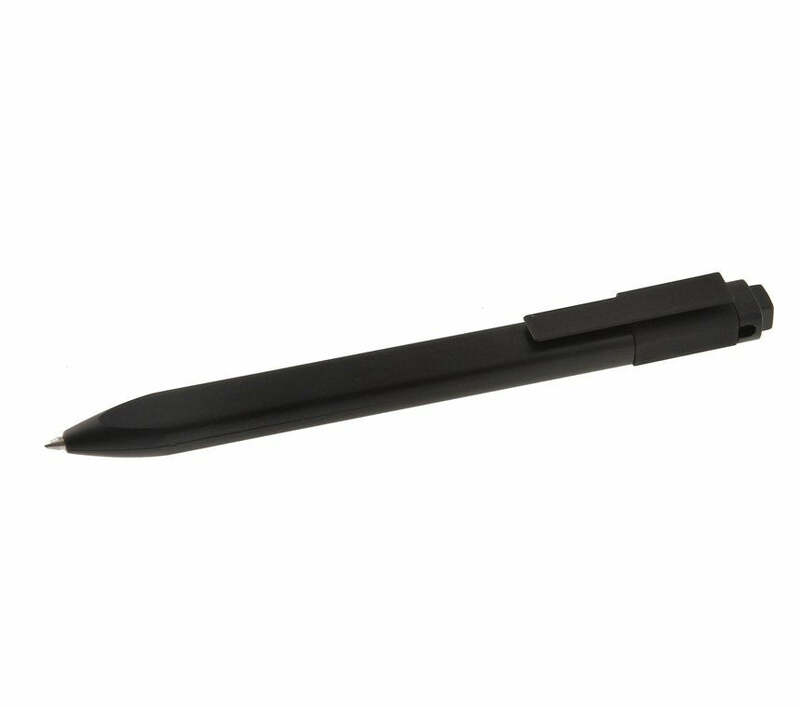 Black roller pen with retractable point. Clips onto the notebook, becoming its natural travelling companion. Main features: retractable point; refillable; lightweight; clip to attach pen to notebook cover; rectangular shape echoes notebook; 16 adhesive labels to personalize pen.